Sandpaper is essential supplies in the timber industry, we decided greatly to the interior surface of the final product. Therefore, the choice of how sandpaper, rough size, as well as the sand-sized to fit all kinds of woodworking machinery is the important factor. Sandpaper is a form of material abrasive paper attached to its surface (specifically here is the wood surface). They are used to remove a small amount of raw materials from wood surfaces, which helps make the surface smooth as background for the subsequent processing stages in the production process. Depending on the function of each type of special machines for the production of furniture, sandpaper produced is compatible with every type of machine. Here is one of the typical kinds of roughness. + Sandpaper barrel: A type of large-sized roughness is produced only for machine sanding barrel, this is a large machine dedicated to smoothing the surface of natural wood. The width of the rough barrel now has 3 sizes of 600 mm, 900 mm and 1300 mm. In particular, our benchmark companies are using sanding machines barrels largest size (1300 mm). + Sandpaper tape (roll): A type of small sized rough usual width of 300mm or less, or bound into a small tape roll is generally used for portable machines such as sanding machines increases, sanding machines edge or be chopped up into smaller pieces depending on specific user needs. 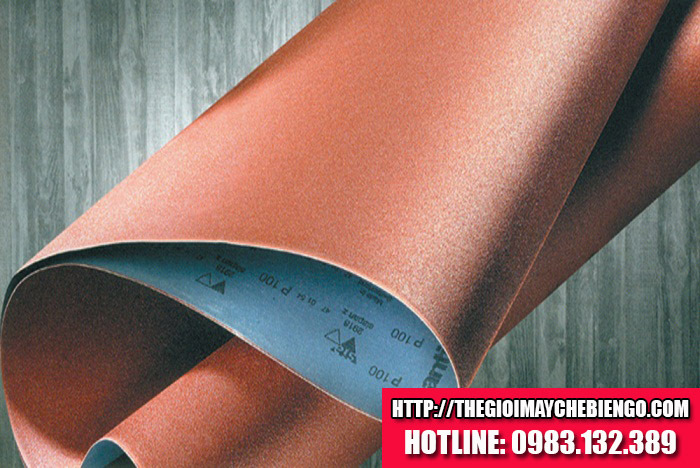 + Sandpaper sheet: A type of abrasive size is 230 x 280 currently mm, are used for sanding plane manually by hand or hand-held vibrators mainly served during the exhaust process roughness PU is the main course. Sand is understood as the degree of the rough sandpaper sheets are generally denoted by the letter P (point) from low to high classification corresponding to each of the smooth wooden surface roughness after discharge. There are currently following the default number (note that there are others depending on the manufacturer's mixing rough). 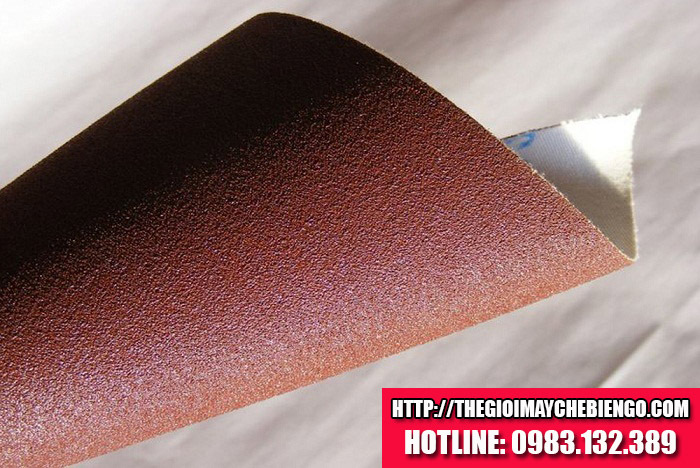 + P80: It is classified as breaking sandpaper, smooth the surface for 1 minute. + P180: A type of surface roughness for fine salt to line PU. + P400: The biggest fine, usually smooth surface is demanding. Note: The higher roughness means the end user faster than the sand. Also, in the market, we also see the manufacturers have offered sanding fineness of 500, 600, but actually stopping at the threshold of sand still 400. In the timber industry in general, we still used to roughness 400 that meets the requirements of the most discerning customers.